Inspired by the iconic Chemex coffeemaker, the Chemex Handblown Cream & Sugar Set features the same recognizable silhouette for you cream and sugar needs. 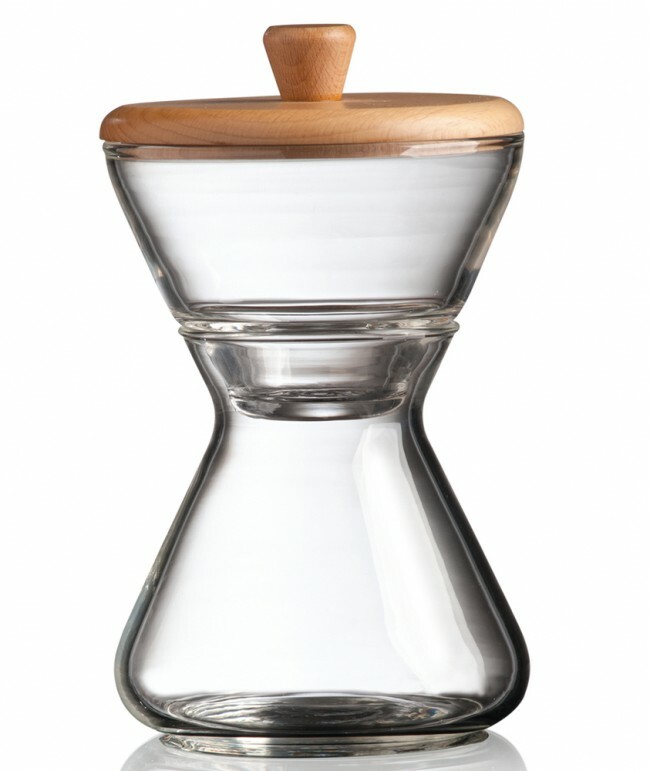 Constructed of non-porous Borosilicate glass and a wood top, this set would be a great addition to any Chemex enthusiast's collection. The top part is intended for sugar and holds approximately 8 fluid ounces. The bottom part is intended for cream and holds approximately 14 fluid ounces. Complete your Chemex collection with a Classic or Glass Handle coffeemaker, Chemex Handblown Glass Coffee Mug and this Chemex Handblown Cream & Sugar Set.